A PET imaging probe developed by Massachusetts General Hospital (MGH) investigators appears able to diagnose and stage pulmonary fibrosis—an often life-shortening lung disease—as well as monitor the response to treatment. In their paper published in Science Translational Medicine, the team reports how the collagen-targeting probe, called 68Ga-CBP8, bound to scar tissue in the lungs of two animal models in a way that indicated the extent of fibrosis and also detected reduced fibrosis in animals that received an anti-fibrotic drug. Experiments using human lung tissue suggested that the probe also could differentiate between stable disease and progressive fibrosis, information important to treatment planning. "Increased collagen production is a hallmark of fibrosis in the lungs and in other organs," explains Peter Caravan, PhD, of the Athinoula A. Martinos Center for Biomedical Imaging and co-director of the Institute for Innovation in Imaging at MGH, a co-corresponding author of the report. "High resolution CT scanning can precisely diagnose only 50 percent of patients and often cannot predict prognosis or show response to therapies, making invasive biopsy—which can be hazardous to these patients—the only definitive diagnostic method. 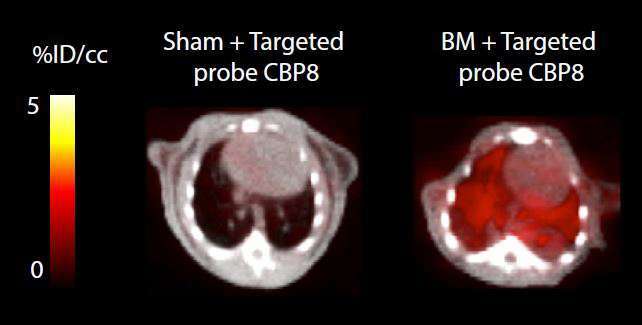 Non-invasive PET imaging with 68Ga-CBP8 provides information on the entire lung without a biopsy, which would only reflect a small portion of the lung." While pulmonary fibrosis may be caused by exposure to pollutants or result from other disease, in most cases the cause is unknown or idiopathic. The buildup of scar tissue stiffens the lungs, making breathing difficult and restricting the passage of oxygen into the blood. For most patients, the condition progressively worsens, leading to death in 3 to 5 years. Two drugs that slow the progression of idiopathic pulmonary fibrosis have recently been approved by the FDA, and a definitive, noninvasive diagnostic method could enable earlier diagnosis and treatment and monitoring of treatment response. A new PET probe reveals scarring from fibrosis in the lungs. 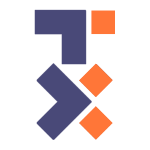 Credit: Désogère et al. The ability of PET technology to detect and quantify collagen molecules presents significant advantages over CT scanning, which only reveals structural abnormalities, which could be caused by other conditions. The MGH team's initial experiments showed that 68Ga-CBP8 specifically binds to collagen in a mouse model of pulmonary fibrosis but did not accumulate in the lungs of healthy animals. Additional experiments in another model showed greater uptake of the probe in areas of more extensive fibrosis and the ability to track disease progression over time. The reduction in fibrosis resulting from treatment with an experimental antibody-based drug could clearly be tracked by a combination of 68Ga-CBP8 PET and CT scanning. Application of 68Ga-CBP8 to tissues removed from the lungs of pulmonary fibrosis patients prior to transplantation also showed greater probe accumulation in more heavily scarred areas, suggesting that the results in the mouse models would probably also be seen in human patients. "The ability of molecular PET imaging with this probe to detect early-stage fibrosis would allow us to begin treatment when it would be most effective," says Michael Lanuti, MD, MGH Division of Thoracic Surgery, co-corresponding author of the Science Translational Medicine paper. "This probe may also be able to distinguish new, active fibrosis from stable disease, which would allow clinicians to better tailor therapy to individual patients. 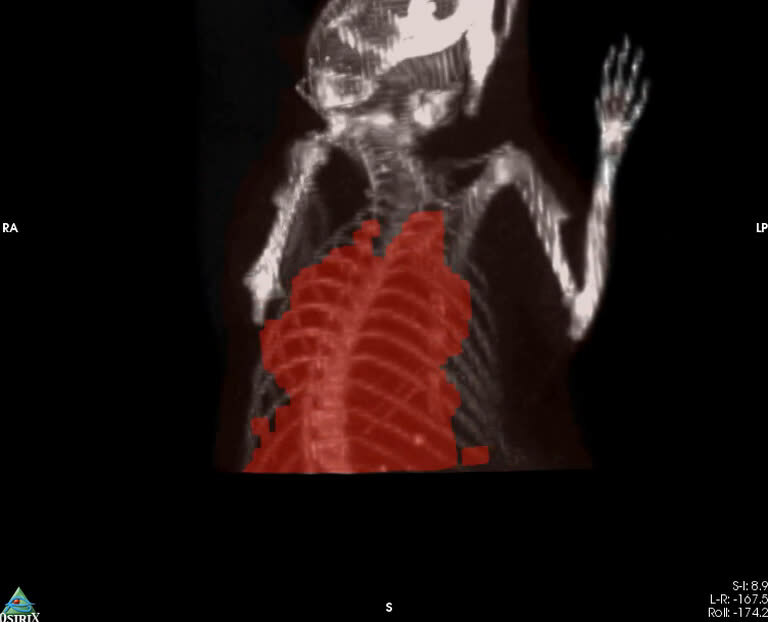 And since response to therapy is difficult to ascertain with high-resolution CT scanning, PET molecular imaging may be a more sensitive way to detect changes in active fibrosis." The MGH team is preparing the documentation required to test 68Ga-CBP8 in patients and has received National Heart, Lung and Blood (NHLBI) funding for such a trial, which may begin later this year.